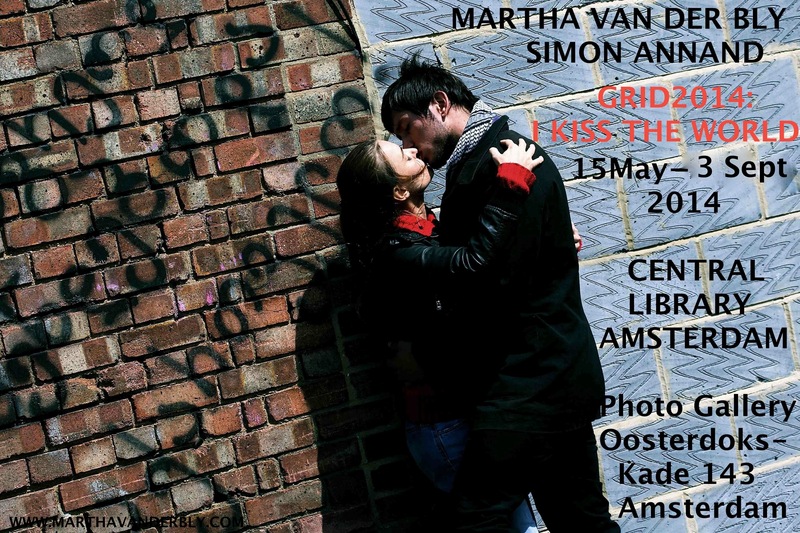 May 2014 – The ‘I Kiss the World’ exhibit opens in the Photo Gallery of the Central Library in Amsterdam as part of the GRID2014 International Photo Biennial. The exhibition will run from 15 May – 30 June.. ‘I Kiss the World’ is a collaboration between Martha and West-End photographer Simon Annand (photographer of the National Theatre) and a combination of photography and visual sociology. GRID2014 is an international platform that showcases current trends in contemporary photography and visual arts For sales, press and more information contact: info@marthavanderbly.com. Go and see our exhibition! Find us at:www.oba.nl.